American actor best known for roles in films such as The Usual Suspects, American Beauty, LA Confidential, Se7en, Glengarry Glen Ross, Pay it Forward, Superman Returns, Moon (as the voice of GERTY) and Casino Jack. On TV he starred in House of Cards. A well known New York autograph dealer once said Spacey told him he was "Five Foot Ten." In the movie American Beauty, next to Wes Bentley (1.78cm), Kevin seems to be 1.74cm or a little less. Rob do you think Spacey is guilty of all the things he is accused of doing? I have great respect for the guy as an actor being a fan of House of Cards but in my opinion, he’s a bit of a creep. He looks 5’ 9-10 range to me in House of Cards so I think your listing is fair. There are many bad apples in Hollywood, who have got away with all sorts of stuff over the years. For some, it's now caught up with them. I think differentiating acting performances from what people do outwith their work is more tricky for people at times, especially when it is potentially criminal behaviour. As for his height, anywhere from 5ft 9 to 10 has been arguable during his peak 30-45 age range. He's around 60 years old now, so while he might have been 5'10" in his prime, he's probably closer to 5'9"-5'9 1/4" today. @Junior: Did you look at the two pics? Jamie is shorter than Kevin in them, not taller. If Jamie has been wearing thicker heels a lot these days then that would basically prove he's not above 5'9". Kevin could definitely be that height now, though. If Jamie Foxx do wear thicker heels nowadays that i would leave him 5'9 1/2 and Spacey must be 5'9 1/4 now. Funny enough, when the stuff with Spacey broke, I remembered Glenn telling me years ago that Spacey was said to like "young surfer types" and while I always figured Spacey was gay even before that, but thought young meant young adult. Guess young was an understatement! I liked Glenn, but this was also another one of Glenn's famous "I don't care what he claims, he's taller and doesn't know his own height." Btw, I'd generally peg Spacey somewhere between 5'9"-5'9.5" myself, but Jamie Foxx is not taller: Click Here Click Here Jamie is definitely not 177 cm. More like 175, but Spacey could be 176. Another exclusive that night in 1999,was Omar Epps and Lance Bass all telling me 5-10.all 3 hang out buddies of mine.2 out of the 3,queerer than a 3 dollar bill.true story. I make a mistake. Jamie edge him a little more like half inch. Spacey 176cm and Jamie 177cm. 5'9.75" peak, 5'9.25" now. Look exactly same height eye to eye with Jamie Foxx. Rob, would you recognize him as an honest guy regarding to his claim ? He only off by 0,6 mm from his claim. It's a reasonably honest claim, I think he looks over 5ft 9 (well at least did during his 30's and 40's), but not quite a full 5ft 10 for me...but enough to tell people you are 5ft 10. Spacey did not edge Jamie Foxx. They were close in height. Spacey could be 5'9 1/4 now and Foxx at his low 5'9 1/4 too never a flat 5'9. @Paleman that’s not what he said he mentioned that spacey DID edge out Jamie foxx in baby driver not WOULD because he did in baby driver. "Obviously what he did was abhorrent but he would still edge out..." Yeah, no kidding? How does anything he did change his height? This is a site about discussing heights, and nothing more. Did us finding out that he committed sexual assault suddenly cause him to shrink in real life? Of course not. He could do it with the dead and still be the same height, obviously, and so we should still give honest guesses of his height. If Rob had a page for Adolf Hitler we would still be entitled to give honest guesses because what we're discussing here is HEIGHT, and that is not affected by what someone does. Come on you stupid idiots, get a brain. Look at this lineup With Spacey, Thierry Henry, Penny, Rod, Prince Charles and a few others. Actually Thierry looks near 6ft 2 there, for once he stood tall. Spacey might edge out Charles. Editor Rob: I'd say in the 170's was a decent estimate...not skinny, pretty average build. Obviously what he did was abhorrent but he still did edge out Jaime foxx in there standoff scene in baby driver. This is ridiculous. You are not allowed to base your claim on what you think of the person's morals. If we were rating character, or virtue, he would probably be a midget. He's obviously not a midget. Don't rate him like one. Giving him a short height just because you don't like him is called dishonesty, folks. he rob, now in 2017, what do you think his height is in centimeters ? 175 cm or 176 cm ? Thank you and I'm wating a response from you :) He barely lookS 175cm in house of cards. Rob, has the average guess on his height dropped due to all the allegations against him recently would you say? Editor Rob: it may well, but I think in last few years he has began looking nearer 5ft 9 than say 5ft 9.5 range. In the words of Milo! Editor Rob: I can understand Ridley doing that, makes sense for a movie since many would boycott. Yeah,the site has guys like Hitler and Stalin so why should he remove him,its a height site and the guy is appeared in famous movies i don't see why he should be removed. Rob, will you have to edit him out, like the producers of his latest movie have done ? You'll have to replace him with Christopher Plummer ! Spacey's depravity is well known. He was caught on Clapham Common committing lewd acts. Awful individual, he truly is. You know the saddest thing was this was an open secret. It was all over the gossip sites and even Seth McF made a joke about it. 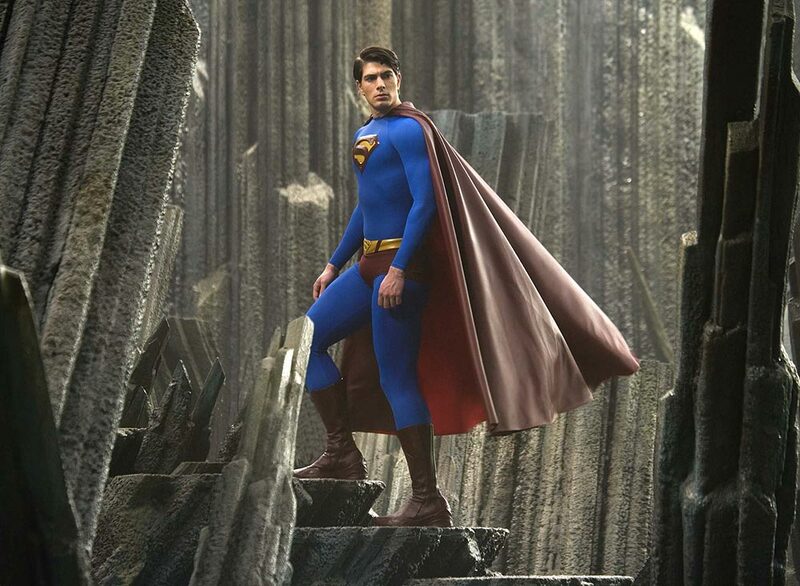 Brandon Routh makes this guy look tiny. Damn, he really does have an ego. I would very much prefer ‘Ryan Reynolds,’ and even Eddie Murphy over this guy! ROB, you should read the recent news about him. 🤢. Editor Rob: yeah, his own house of cards has crumbled. 5'9" with a huge ego, the truth will always surface . Editor Rob: a lot of these big names think they are untouchable and can get away with awful behaviour. as for Spacey, well I'm not sure he'll be making any tv or film any time soon. In House of Cards he could look at a flat 5ft 9 a fair bit. I believe he was 5'10 ft I think he is honest. To me he looked a strong 5'10 next to Kevin Kline (6'2 feet) in "consenting adults" movie. He looks 6ft here. He claims 5'10 though, which is very honest. Only a quarter inch round up, not a big deal. I fall to that zone and also claim 5'10. Editor Rob: it's beleivable he can look about 5ft 9 these days. Looks below average most time I'd bet 5 9 in shoes. He has looked this height since the 80s with varying posture. He was no taller than guy pierce under Pryor oddly close to crowe.. He also has tiny feet not that they determine height but funny fact. Weak 5 9 peak tops can look under I wager Jude Law might look right over his head at 510. Ho Rob.. what do you mean when you say that a man "has Lost a fraction"? How much in cm is a fraction? Editor Rob: in many cases a 1/4 inch or so. 5'9 based on horrible bosses but not below that. A lot of downgraders over here. I think he's obviously over 5'9". Solid 5'9 to me. No more, no less. how big do you think his head is? Length wise? Simon Baker is holding his shoes in that shot if you notice, so he is barefooted afainst Spacey. Rob, look at here, Kevin is atleast 1.5 inch taller than Simon Baker in LA confidential. Editor Rob: they did look closer in another scene when talking together. Rob, could we give Reg E. Cathey a page? 5ft 9.5 max peak and maybe 5ft 9 now. Denis Leary (who was maybe 6ft 1-1.5 range) towered over him in The Ref. I think they both look around 5'8" with him (so about 1.75 inches shorter). Is that about right? Editor Rob: the guy on left might be a bit taller than the middle guy who looks possibly somewhere in 5ft 8 range (spacey today can certainly look not that much over 5ft 9, he might have lost a fraction). He is a weak 5'9. Legit 5'9.5" guy now and 5'9.75" peak. You know, he actually can look still this range on HOC. In fact, he can even look the full 5ft10 in some scenes. Rob, do you have any idea how tall Reg E. Cathey is? Doesn't look 5'10". I've always thought of Spacey as a strong 5'9", something like 176-177 cm - looks the exact same height as Bob Odenkirk. I think 5'9" flat is too low, but the current listing is a good shout. 5'10 is believable if robin wright is 5'5.5 but she isn't. I've always thought he looked 5'9.5 tbh. is 5'8 absurd for him? I'm not sure he's lost more than 0.5in, and he has looked alarmingly near 5'9 for a number of years now, even appearing a little under that with a loose stance at times. 5'9.5 peak and 5'9 today is my guess, optionally 5'9.75 peak and 5'9.25 today. Rob is 178cm peak possible and maybe 176-177cm today? He's a short dude, probably around 5'9 or weak 5'10. Spacey looks quite average on House of Cards, probably 5'9. How long do you think Sting's face is? He's long had a very high forehead but with a beard it accentuates it. He looks like one of thosechess grandmasters now with the great heads like a Bobby Fischer! Rob, perhaps it's time for a downgrade now to 5'9. Check out Click Here with Sting! And we've seen Sting look 5'10 range of late too! He makes Sting look a full 6 ft.
@Editor Rob: Think a cm loss is quite likely given his age and poor posture over the years? He can look more 174 cm range with sloppy posture but measured height would probably be nearer 176 cm today, looked a decent 177 cm in his prime. @ Realist, I agree, was here to comment on that myself. Shahid is no more than 5'7.5 or 5'7.75 .. Spacey looked 1.5 inches taller than Shahid and Farhan at those awards. Plus, if you looked closely, Shahid had better footwear, bigger heel. Shahid has even claimed 5'10, ridiculous. @ MD Seems like Dev might be 5 inches taller than Spacey if he stood up straight since Dev is leaning, loose posture. Actually i take back what i said about him looking 174. He looked close in height with Jimmy Kimmel. 176cm and one of the greatest actors. Rob can you add a photo and some more films like Se7en, Glengarry Glen Ross, Pay it Forward, Superman Returns, and Casino Jack? And also add He is also known for the voice of the robot GERTY in the film Moon and for his role as Frank Underwood in the TV series House of Cards. 5'9" makes more sense. On House of Cards most people are taller than him yet he still maintains an average look. Rob, do you really think he's 177? he looks more 174-175 . He's not this close to 5'10 unless he slouches badly. He definitely looks more 5'9 flat most of the time. Rob, he went to the IIFA(indian awards) this year. He is dancing with an actor Shahid Kapur. Both have similar shoes. That guy is max 5'8 and Kevin looked about 0.5-1 inch taller. So probably Kevin is around 5'9. My guess is 171 for shahid and 174 for spacey. Last night on Fallon, he honestly looked maybe an inch or two shorter than Fallon. I would have said 5'10 at least, maybe 5'10.5". And lastly Kevin, I'd say he's somewhere from 171cm to 173cm tops, no way this guy is even close to 177cm range, hell I wouldn't say he's close to 175cm range either.. Just seeing him with Tobey, yeah.. Rob, it looks like you wrote the title of the movie 'The Usual Suspects' as The Unusual Suspects here. @MD: He's lucky to hit 5'9 with Patel, yeah. He has appeared anywhere in the 5'8.5 - 5'9 range to me for a number of years now. Maybe he was 5'9.5 or so at his peak, but he's definitely not that tall now. Someone have mentioned he looked close in height with Jason Bateman in Horrible Bosses - he did look around 1.5in shorter imo - and there is one scene where he stands in front of 6ft John Francis Daley and looked around 3in shorter. He has appeared around 5'9 flat before, so I'll go with a doubtful 5'9.5 as his maxiumum, as he tends to hold a poor posture. He's most likely in the 175-176 cm zone. 5'9.75 is a stretch. Kevin is not almost 5'10". He's lucky if he's a full 5'9". He's almost 5'9". in house of cards he's nearly shorter than everyone, most tower. 177 seems far fetched. I'd venture to say he's not hitting 5'9 and he never has. About the same height as gabriel byrne in the usual suspects and a little shorter than steven baldwin. Benicio del toro was about 12m taller than him. I always thought he was 5 foot 8 but 176cm seems better. I worked as an extra on "House of Cards". I'm a little over 5'10" and he's at least as tall as me. I'd say 5'10.5" or 5'11'. He's taller than he looks on screen. Jason Bateman is no more than 180 cm, Spacey can't be much more than 174 cm. In the usual suspects, there's a lineup that makes him look 6'. 5'9 i think, 5'9.5 at most. Looking 3 inches taller than Pacino here. Unless he wore .75" lifts in Horrible Bosses, I wouldn't say anything less than 5'10.5". He looked surprisingly short next to 180 cm Wes Bentley in American Beauty. maybe 175 cm. Looks shorter than he actually is for some strange reason. Maybe because he carries most of his weight in his stomach area? by honesty he look 5'8 rob range. In The Negotiator, he looks well under 5'9", maybe 5'7"-5'8" especially compared to the other actors like 6'2.5" Samuel L. Jackson. I use to think he was 5 foot 8 but after watching some movies and next to bateman he looks 5 foot 10. 177cm is about right. he look as tall as 5'11 jason bateman in horrible bosses. i believe he is 5ft9.5 rob given. look at him in LA Confidential does't look over 177cm next to solid 5ft10 guy pearce. Tough shot. He does look around the same height. What footwear has Moran got on? Definitely shorter than Russell Crowe, who is about 5ft10-11ish. Spacey is 5'8" max, because Prince Charles is 5'9 1/2" tall. Kevin Spacey is 5'9 1/2" tall. Possibly a weak 5'10". He used to get listed at 5'11 but 5'10 seems right. In 21 he looks 2 inches shorter than 5'11-6' jim sturgess so 5'9-5'10 seems accurate. Why is there so much conspiracy theory that all actors wear lifts? ALl of em. Maybe not all of em are as obsessed about height as you celeb height regulars in here. Spacey doesn't wear lifts. Glenn said that to justify his inflating Spacey to 5'11 (because of his own self-inflation to 5'8). Spacey always appears 5'9 to 5'10 or lower with terrible posture. maybe he wears lifts to look 5-11.guy pearce is only 5-10? maybe im confusing him with someone else,but i thought he was near 6ft. Spacey at 5'11 and Pearce at 6'0? Hilarious. with all due respect.dont tell me what celebs state themselves at. See, this is the problem. He would even contradict celebrities when they themselves claim a lower height than what he "estimated". This "I don't care" attitude really said a lot about his ego. 5'9.75 seems right or 5'10. KSpacey is 5'9.75" no shoes. I know him. looked short in the usual suspects, but then again he slouched a lot. Spacey looked 7 or max 8 cm shorter then Jeff Bridges in K-Pax. To me he looks almost 5'10''. 5ft4 is way way way too low. in the recount tv movie, he looked 2 inches taller than 5'8 John Hurt, or mabye a little bit more. He looks an strong 5'9 guy, close to 5'10 , if not a 5'10 guy. I guess spacey nothing less than 5'8.5 and nothing more than 5'10. Probably a strong 5'9 or weak 5'10. He can give lots of height illusions, because he slouches nearly all the time. I really want to know which media described that! Here's the thing: In "Usual Suspects" when he would occasionally stand up straight, he was Gabriel Byrne's height who is listed as 5'10.25. Then that should be his height then. The police line up confirms Byrne's height of around 5'10.25. (To me, he looks 5'10.5) Therefore, Spacey has to be 5'10.25-5'10.5. at least you see what i mean that he could look 5-11 at times. Kevin Spacey is a weird one to figure out. Having just seen Fred Klaus last night, he actually really did look 5'11" next to Vince Vaughan. Then looking at him in American Beauty, he really looked a weak 5'9". I wouldn't rule out the possiblity of lifts for Spacey though (if, at the very least, next to Vaughan). 5'10" it is. dr-morton saw kevin spacey looking 5-11 here in new york as well.im convinced he is more than 5-10.if not 5-11.one has to actually see these celebs in the flesh.i have one pic with spacey where he does look 5-11,cause he is slouching alot with me.woody harrelson also claims 5-9,and is 5-10.5,5-11.i saw him in the same sandals for a week.sometimes people dont know their own height.and i sqaushed the myth of lifts for woody too.i was made fun of for believing he was more than 5-9 on this site for months.then came up with the photo proof.so please,with all due respect.dont tell me what celebs state themselves at.i myself thought spacey was 5-9 for years too. Pearce stated he was 5'10, and looks that height. Kevin Spacey also stated himself as 5'10, so he certainly would not be 5'11. He was fractionally shorter than self-described 5'10 Guy Pearce in LA Confidential. Also fractionally shorter than Chris Cooper in American Beauty who is less than 5'10. Plenty of visible full length scenes in each of those films. I think Spacey is a weak 5'10, 5'9.5 at lowest. from what i recall his posture was horrendous in the height chart pic.actually looks 5-11 in the street. This guy's got really bad posture. He seems like he's 5'10. I don't know where people come up with 5'8. He's got 3 inches on Robin Williams. He can look 5'9 at times, but he's got a big head and slouches much like John Lennon did. described as 5 ft 4? wtf? he looks about 5ft 10", Kevin's one of these guys who looks short because they have bad posture and small features like small hands, and short legs. theres a guy who i work with who looks like a 5ft 7" from 30 feet away, but u stand next to him up close he's a good 5ft 9"
Spacey is about 5'9". But then he's been known to wear lifts so he could be 5'8". Did look 5'10" max next to 5'7" Helen Hunt. I can't help but laugh at Glenn bumping him up to 5'11". He can look it at times but come on... when the man himself says 5'10". *sigh* Another person Glenn was just trying to raise to boost himself. I saw him a few years ago in New York. He is close to 5-10.
i know, again with The Usual Suspects....but theres a part in the making of, where Spacey is perfectly straight against the wall and height chart, and he is still about 2 inches under the 6ft mark,....with shoes on. Meaning he really cant be more than 5'9 really....? Spacey played a man with cerebral palsy in that movie so his one leg was bent and he was hunched almost the whole time. In the rare shots he stood up straight he looked the same as Gabriel Byrne, a strong 5'10. Fantastic actor. Terry it's a film, no offence but height charts in films or promotion pic mug shots are not likely to be that accurate. So many people on here mention them there is one on Nicolas Cage's page which shows him under 6 feet when he clearly isn't. In usual suspects Spacey is hunched over most of the time he looks comfortably 5ft 10 maybe a little more. dits: you don't make any sense mate!! First you go: he looks 5'9-5'10" and the next line you go: he doesn't look much below average height... What are you smokin? 5'9-5'10 IS average height !!!!! in 'american beauty' u can see that he really is around the 5'9-5'10 mark.he doesnt look much below average height there,especially after he bulks up a bit towards the end. Saw the movie "THE USUAL SUSPECTS" last night.Found both Kevin Spacey and Stephen Baldwin are of the same height.Baldwin is listed 175 cms in here,so I doubt about Spacey's extra listed 2cms.There was a mugshot scene where all the suspects were standing beside each other.Gabriel Byrne looked a legit 178 cms though. he looked weirdly short in 'the usual suspects',i thought he was a 5'5 or a 5'6 at max when i saw that movie (didnt pay attention to the scene where they stand against the height chart).he looks like a really small guy,more so accentuated by his voice. llook at his shoulders, they are 2 inches higher than glenn's. it's obvious that he has bad posture- horrible, horrible posture. if he straightened his head back and stood up straight he'd be 5'10 and change. he seemed cool, but again gotta stress he looks taller in person, if he said 5-11 I dunno but I prob would buy, minimum 177 on a bad day very tricky but I dont think more than 179. Having said that I was max 1.5in more than him. i think he is 5-11 as of last year.i change my mind.d-ray saw him as this too.his horrendous posture make him shorter. Like i tild rob before, honest height claim, taller than he looks on film which is weird but 177-78. He looks about Mr Pearce's height. cause height is so mysterious and fluctuating tabitha. I am sure he is 5'9 flat, look at his shoulder compared to Cloony's. And yet Clooney is ducking his head forward yet again. yep he would never look that tall unless you see him in real life like i did. it is possible he had lifts that day. regardless he is 176-177cm for him is accurate. I would never buy 181-182 for spacey unless I saw it with my own eye.Never have I seen him at that height.doesn't look it to me. 179cm is maybe possible. he can look near 5-11." infact before 2004 he did look above 5-11 slightly around 181-182cm which is i think 5-11.5 or 5-11.75 (in shoes), after that he started looking a proper 179-180cm in shoes so that means he lost some height. he looks 5'9 n that pic...but it is taken at a funny angle. your not kidding d-ray.i saw him a couple months before this look 5-11.this night 5-10.5.maybe he really is 5-11.his posture is bizzare. "he can look near 5-11." he can look near 5-11.
actually giving him 176cm height currently is pretty accurate imo, he doesnt really strike me as a TALL guy, he is average. however no doubts he was 177cm or maybe even 178cm BEFORE 2004, because in 2004 i swear he looked 180cm with shoes (that had 3cm heels) and god knows what they had inside if anything. before 2004 he mightve been 177 or 178cm no doubt mostly during the 90's and 2000/2001 possibly. so yeah 176cm makes sense. Glenn I'm so curious how tall exactly of Kevin Spacey. Kevin Spacey was in Italy in 2004 for a short vacation and i saw him and back then he looked 180cm flat so i think the 177cm listing for Kevin is accurate although i have this feeling he lost 1cm and he is 176cm today. lifts not out of the question thats why sometimes he appear taller in ceremonies and sometimes he appears shorter. im gonna say Kevin Spacey is 176-177cm but not more. In the pic he looks about 5'9.5-5'10. Seems like Rob has been really accurate here. the final night of his last play.i usually dont do crowded situations like that.i think was walking by. Great story, Glenn. I can totally picture him saying that. Was this taken during his run with A Moon For The Misbegotten? Spacey is standing 1 foot further from the camera so he looks shorter. He's close to Rob's listing. See the line up in The Usual Suspects. plenty i havnt met yoooo.i never saw cameron diaz in my life.yet she is always around.shes around now.i went to an event she was at months ago and had to leave.didnt see her yet again. i agree with d-ray,he did look taller than usual lately.5-10.5.at least.i have another where he is slouching alot with me,1999.actually,on the street he isnt too cool,one on one.not easy to obtain a posed photo.he usually declines.notice the taller security behind us for scale.he was joking with me here.he took a photo with me in a crowd of 200 people,but turned his head fast.i complained,and he then said "im gonna stand here 5 minutes until you get your photo".all 200 people heard and laughed.nice in a crowd.i hung out with him alot back in 1999.doesnt remember me,nor am i interested. Damnnn... are there any celebs you haven't yet met, Glenn? It's incredible the height range this guy's been listed at. From 5 ft 4 to 6 ft. I agree he's 5 ft 9 and 3/4. I always thoguht Spacey was a smallish guy, like 5'6 or 5'7. But with Glenn he does look at least 5'9 and probably is 5'10 stretched out to his max. Come to think of it I do remember thinking that he looked close to 6' in "Superman Returns". kevin looks like a very good man,it shines through. Don't let the angle fool you. Look at at how high Spacey's shoulders are compared to Glenn's. He is 5'10". From the picture he's 5'9 at most. Don't overlook that Glenn's closer to the camera. But I always thought he was 5'11!!! Given the weird angle of the photo, Spacey's posture, and where he is in the frame relative to Glenn, I still say 5'10". He looks potentially 2" taller than Glenn here. When I met him, he looked huge. Could've been some shoe help there, but I'd still bet on 5'10". What do you say, Glenn? Great pic, Glenn! And I agree with your estimation, 5'10"-ish sounds correct for Spacey, as you are a bit closer to the camera. He looks the same height as Glenn, 5'8/5.8.5 barefoot max. no way 5'10! this man is your height at max. I think he's 5'10". Maybe 5'10.5". Either that or Minnie Driver is 5'9": Click Here . Probably she's 5'9.5". I think she's more likely to be 5'9.5" than Spacey, that's for sure! yeah,i dont know where these shorter than 5-10 claims come from. He looked 5'11"+ when I met him this evening. (Lifts, probably.) I'd guess he's no shorter than 5'10". I see him in the street regularly, 5'10 is about right. I think his posture is the problem. He's never not slouching, I think he's a good five ten, that's fair. Wait a second. On the cover of The Usual Suspects, Spacey's in a line up along with others. His height being at the 5'8-5'9 mark (and this included shoes). Ive read 5-11 for Garcia.now I dont think he is 5-11,but not 5-7 either.never met him.my guess is Spacey is 5-10,and Garcia is 5-9. Someone has posted photos of him and Brandon Routh promoting "Superman Returns" in Paris. Or either Brandon is slightly over 6'3" or Sapcey plain 5'9" as the former looks 6" taller. And there's no super-boots just casual street wear. What do you say to that rob? Danny devito was in The Big Kahuna with Spacey and looked about a foot shorter. If devito is 5 ft wouldn't spacey be 6ft? Thats the only time I agree with you Mcfan. "Frank2: A known lift wearer." He doesn't have problems in sharing scenes with tall leading lady's and he's always sloughing. To be honest he doesn't give the impression that he wants to look tall unlike guy's like Brad Pitt or Tom Cruise. This guy has terrible posture. To me he looks 5'10. Spacey is no more than 5'9". He could even be 5'8". A known lift wearer. Look at this pic of Spacey beside Routh. Unless Routh is much over 6'2 this pic makes Spacey look 5'8-5'9. [Editor Rob: remember superman boots are well designed to maybe give him a little extra imposingness. Described as 5'4? All I can say is wow. Rob, could you give me a link to a page that says that? "If you take a closer look at his shoes you see that they look a lot like cowboy boots...this might be the explanation why he looks so tall on that picture"! I reckon Spacey is no shorter then 5-9 1/2. Looks 5-10 most of the time. Yep, looks like it was just the angle. Now this is odd, check out these two pics below, it apears kevin is atleast 6'1'' next to Brandon Routh who's atleast 6'2 1/2''. His footwear looks normal. Oh yeah, Glenn, I heard all about Lance Bass ....and JC Chavez. Although they weren't 'together'. lol. All 3 5-9 and lying on the height.true that.though spacey can look it. Plain 5-10.of course he could be lying. He told me 5-10.and Im glad Im not the only one that senses bonesmuggling on him. Which 3? true on what you say,though there is qualities I can do without. All three in that photo are known smugglers. Now whether that makes them bad people is another matter. I have many gay friends as well as a gay brother and I'd rather be with them any day than with some straight people I know. Glenn, you called him bonesmuggling! LOL! I always did get that impression from him.